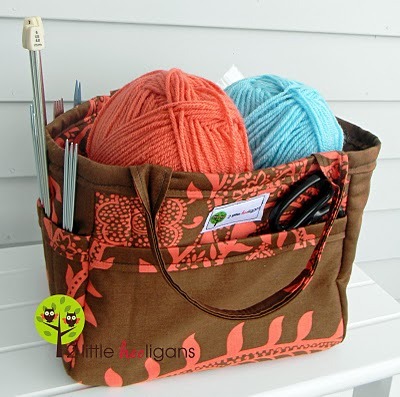 Nette has done a guest post over at Chies blog and is sharing a cute little tote pattern. 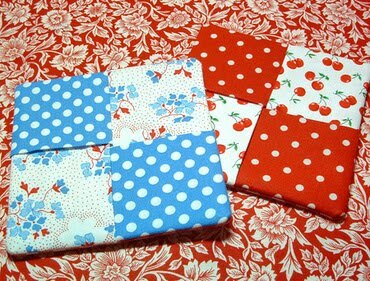 Thanks for sharing your pattern Nette. Skip To My Lou shows how to make cute mini cakes. 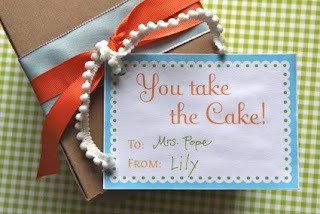 She also has free printable tags to dress up a little gift box for your cakes. 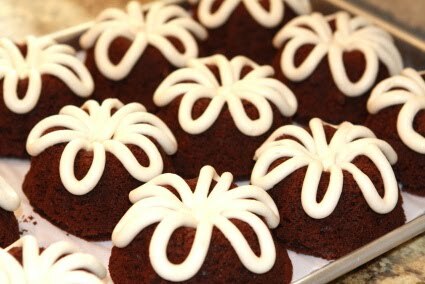 Don't they look great. 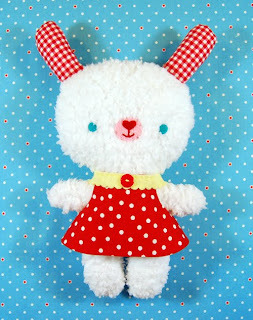 Fluffy Stuffy Bunny and her dress pattern can be found over at Allsorts. 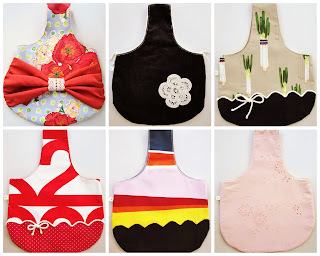 Jenny has some nice tutorials listed on her side bar. The coasters are a well used item in my household and I keep saying I will make her criss cross coasters up one day. 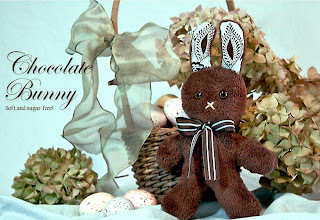 Chocolate Bunny can be found at Sew4Home. What a cutie. 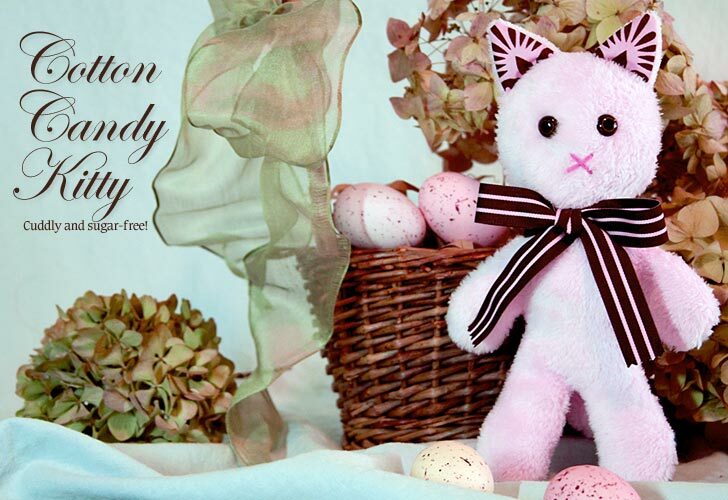 There is also cotton candy kitty too. 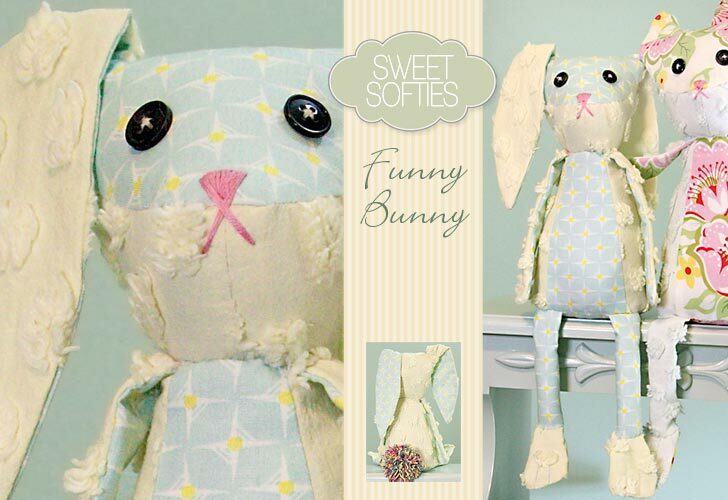 Funny Bunny can be found over at Sew4Home. 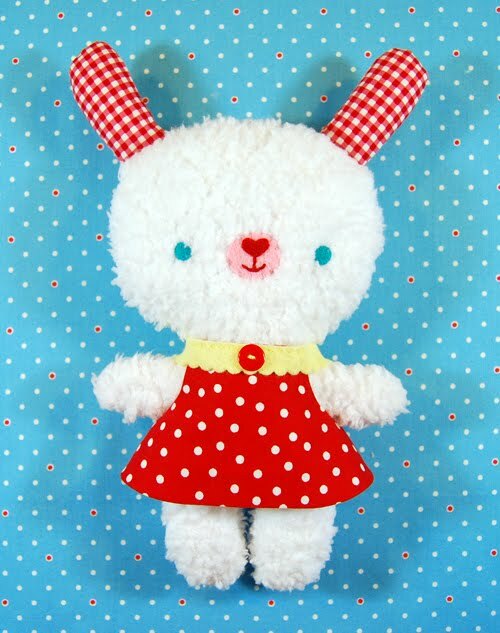 I was looking at the tutorial and think I would rather sew the head onto the body before stuffing. I would probably also do that with the feet. Makes it a lot neater and stronger. My Owl Barn has some free printable goody bags to download. Created by Lynn of Jinjerup she also has some free bookmarks to download on her blog. Who could resist those for Easter instead of the traditional bunny. 2 Little Hooligans is sharing a tutorial to make her Organising Tote Bag. 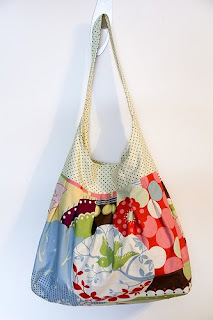 Thimble have a tutorial for her Pleated Tote (beach bag). 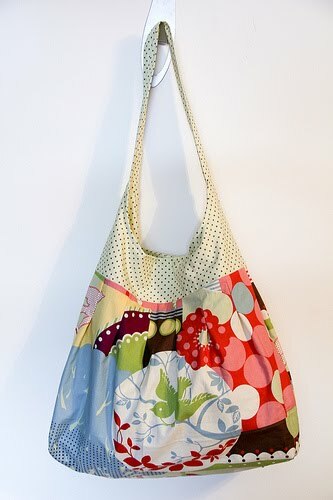 Another cute bag to add to the list for all you bag/tote lovers.